Apache Junction, Arizona has many events and activities to keep someone busy all year long. A few of the main attractions include the Multi-Generational Center, Prospector Park, and Superstition Shadows Park & Aquatic Center. This city was incorporated in 1978 and continues to grow and thrive due to many things for visitors and residents to do and a toothache shouldn’t destroy your fun. Fortunately, there are dental specialists available to help you. Emergencydentistsusa.com has worked to compile a comprehensive list of dentists and dental specialists in the Apache Junction area. All that you need to do is look at the list and choose which listing best meets your need and give them a call. If you don’t want to do that you can always call our toll-free dentist finder hotline and a specialist will gladly help you identify a dentist to meet your needs. Our team of associates are there to listen to your needs and help you decide on which dentist or specialist will best meet your needs. Our operator will look through the options and let you know which one is available and closest to your location. They can even call and schedule your first appointment for you so you don’t even have to do that. It is best that you arrive to your scheduled appointment 15 minutes early so that you have time to fill out any necessary paperwork. Bring a picture ID, insurance card, and any copayment you might have. If you are visiting Apache Junction, AZ, you might not know what options are available should you have a dental emergency. There are many dentists and specialist available to you in Apache Junction from general dentists to pediatric specialists and more. Before you try to schedule with a specialist, consult with a general dentist first. He or she can best tell you if you need to visit a specialist and will refer you to one. Description: The office of Abedi DDS would love to see you. We pride ourselves on providing preventative and restorative services that are personally suited to your needs. You can expect your visit to our office to feel warm, welcoming, and affordable. We provide routine exams, implants, veneers, emergency dentist, teeth whiting, and more. Description: Meridian Dental Care is pleased to offer you down-to-earth dental care with open communication. We provide a variety of services for the whole family which includes periodontal treatment, dentures, implants, crowns, and more. There are financing options available and specials for new patients available. We look forward to meeting you and making you smile. 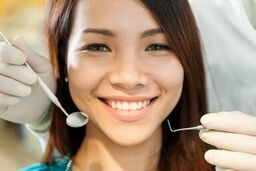 Description: SunWest Dental Apache Junction strives to provide affordable dental services using the most up-to-date dentistry techniques and technology available. Our office specializes in both cosmetic dentistry and general dentistry. Whether you are looking for cleanings and checkups or custom-fit dentures our office is available to you. We have financing options available and look forward to seeing your smile. A dental emergency can come at any time and usually chooses when it is the most inconvenient. With tooth pain, it is important to catch the problem early to prevent further complications from arising. Tooth pain that has lasted more than a couple hours requires emergency care. If your tooth pain is due to an accident, visit the ER first to rule out any other serious issues. Take the time to verify the licenses and credentials of any new dentist in Apache Junction that you choose to visit to be certain they are still active. You can do this by visiting the Arizona Dental Association website and performing a search of your dentist’s name.